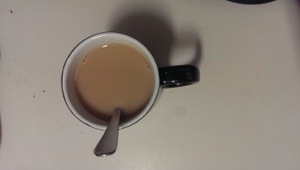 Today’s Tea House post is brought to you by a good old fashioned Irish Breakfast tea. It’s nothing fancy, it’s just a good, reliable tea. It’s a great way to start the morning. I recently moved house, and there’s been a period of about a week where I’ve been moving things from one house to another, and I’ve only just now had the time to set my computer back up and resume my daily writing habits. I’ll admit, my previous habits have been pretty poor. I’ll admit I don’t have a fantastic track record. Even while I’ve been writing every day, the amount of projects which I’ve finished compared to the amount of projects which I’ve started is a sad number. But don’t be sad for me. I’m happy. I’m excited. I’ve had a hectic week off from writing, and I’m back and I’m writing a new advice column and I don’t care if people think advice columns are best left to the professionals. I’d like to dwell on a few pieces of advice I hear all the time, how they work for me, and how they relate to progress and becoming a better writer. The first piece of advice is: Write every day. Chuck Palahniuk does it. Stephen King writes a certain amount of pages before breakfast. My goal is to write an average of 1,000 words a day. Aside from situations like moving house and taking holidays and having a short break after finishing a major project, I should be writing every day. Always pushing towards that 1,000 word a day average. If I can manage 7,000 words a week, that’s great. If I can do 30,000 words a month, that’s awesome. 365,000 words in a year would be fantastic. These are the incremental goals I’m shooting for. Sometimes it means 500 words a day before work. Sometimes it means 1,500 words on a Saturday. Sometimes it means 2,000 words and up on a day off. The thing that’s been working for me is that I’ve been taking the “write every day” challenge and molding it around my day-to-day life, finding out the most feasible way to obtain my goals, and when I reach them, making them a little bigger. In January I was trying to get used to things, so I wrote about 25,000 words that month. February was a little more. About 66 days into the year I had written and documented over 60,000 words of new writing. I’ve given myself a lot of freedom with what I count as writing. It’s anything I type down which could potentially be published some time in the future in print or online. This includes novels, novellas, short stories, poems – the standard fictions – but also non-fiction articles and reviews, things like this. Even drafts of stories so horrible they will probably never amount to anything, they still become part of the writing process, therefore they’re a learning experience. Count it. The next piece of advice is: Take notes. Some people carry notebooks all the time or pieces of paper or note pads which can fit in their pockets or wallets which they can write down anything that springs to their mind at any point in time. I love that. I’m not that organised. I used to wake up in the middle of the night and scribble down a handful of random words on a piece of rubbish, and then months later I’d find it and it would still vaguely make sense. But I never used to have much at my disposal for note taking when I was at work or just out of the house. One little device has made this issue infinitely easier. The smartphone. Any ideas I have, I can not only jot it down, but I can refer to it at any time and I have the space to flesh it out. And it’s not like the good old days where my scrap paper notes would just lie around doing nothing. When I return home and sit at my computer, depending on what I feel like writing, I can either continue with something which I’ve been fleshing out already, or I can crack open a fresh stack of notes and begin creating something new. Or, even, sometimes my notes are about my most recent works in progress, so they help me to get straight into it when I sit down. The more notes you take, and the better you organize your time, the more productive your writing time will be. It becomes easier to hit my targets earlier on in the day, to see projects through to the end, and to move on to other things. I’ve also been keeping track of things at home in my diary. I got a 2014 diary specifically to track my writing and plan my days and weeks and months so I can write every day and track my progress throughout the year, so I can plan time to write and time for other things. To keep it managed and track progress on specific projects as they pick up or drop off. The last piece of advice I have is one which I follow religiously: Do what works best for you. I write as much as I can in order to improve my writing skills. I take notes so that I always have something to write about whenever I sit down to write. I only think about editing and revising once the first draft is done. Editing mid-draft used to be the thing which held me back and now it’s a non-issue. Leaving projects a few thousand words in used to be a problem, but now it’s just a matter of pushing through until I find something which works. I may not finish a novella or short story all that often, but I’ve done more on that front in the first few months of this year than I did throughout all of last year. Writing more articles and reviews has also helped break the monotony of constantly trying to churn out the next masterpiece. It’s the small successes which keep the momentum going. It’s knowing that all the unfinished works and falling short of my goals and not having a market for my work aren’t failures. They’re experiments, testing what can and can’t be done, what should or shouldn’t. Some people spend years on one thing. Some people seem to be constantly pumping out books. Some people can plan and plan and plan and then write everything in three days. With the right amount of planning, note taking, and with at least a little bit of writing every day (no matter what it is) you can make a lifestyle of your writing. Even if you’re like me, trying to find out what your next big step will be, knowing your own habits and working towards improving them is the hardest part. Once you’ve got that figured out, you’re all set. What works best for you? Is there anything here you really agree with or disagree with? Do you have a set schedule, or do you like to try new things all the time? Are there any specific organisation and planning tips you have found useful? S.T. 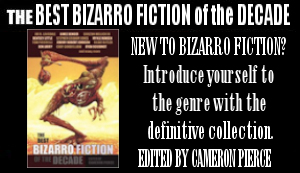 Cartledge is the author of the 2012 New Bizarro Author Series book, House Hunter. In 2013, he graduated from Curtin University with a Bachelor of Arts in Creative Writing (first class honours). 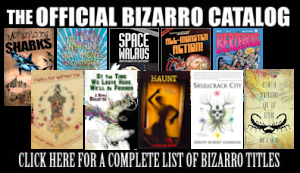 He loves bizarro, manga, anime, robots, dragons, wizards, heroes, monsters, dinosaurs, and any combination/mutation of these things. This entry was posted on March 31, 2014 by spikemarlowe. 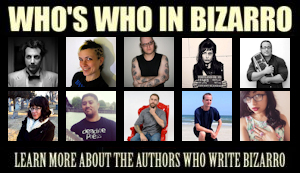 It was filed under BizarroAuthor, Writing Advice and was tagged with S.T. Cartledge, spike marlowe, The Tea House.